Why Is My Dog Vomiting Blood? And What Should I Do? While owning a dog is a wonderful experience, there are times when it can be downright scary. For example, the sight of a beloved dog vomiting blood is one of the most frightening things that can happen to a dog parent. Now, if this ever happens to your pet, you need to get them to a veterinarian immediately. Your vet is an expert, and they’ll be able to tell if the issue is serious. But it’s also important to know why bloody vomit occurs in dogs, how to spot it, and what can be done to fix the issue. Dog Vomiting Blood: Why Does This Happen? What can you do if you think your dog is vomiting blood? First, check to confirm that the blood isn’t coming from a minor cut on the dog’s mouth or on their gums. If not, try to assess how much blood is being thrown up. If at all possible, try to bring a sample of the bloody vomit to your vet. This can help to get a faster diagnosis. It’s obviously upsetting to see this happening to your pooch, but you need to get to the veterinarian as fast as you can. However, don’t automatically assume the worst. Many of the causes of this issue are serious, but some are relatively minor and can be treated effectively. Here are some of the more common reasons why hematemesis occurs. Unfortunately, dogs tend to eat a lot of things they shouldn’t. This can sometimes lead to severe problems. One example is chocolate. Another example is the everyday household chemicals you take for granted. For instance, antifreeze consumption results in dog poisonings every winter. The ethylene glycol in antifreeze is so poisonous that just 2 tablespoons may kill a medium-sized dog. 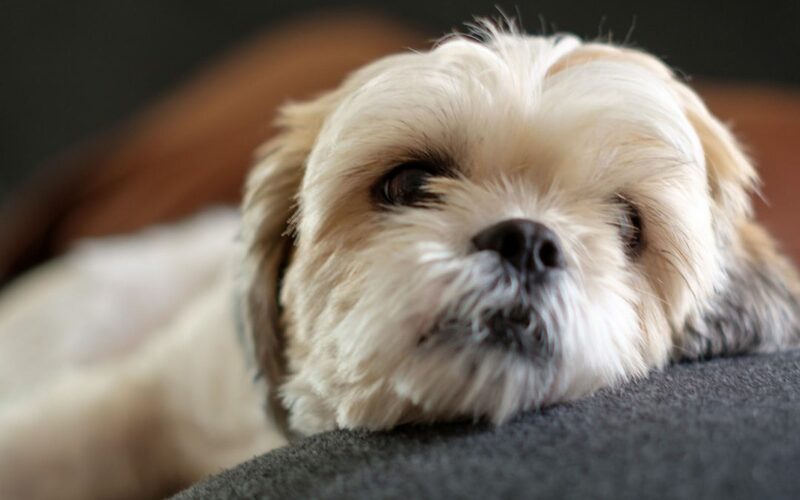 Your dog may appear a little “drunk” and disoriented as an early symptom of ethylene glycol poisoning and bloody vomit can occur from internal bleeding. And don’t underestimate the power of a dog bone to inflict damage, even though dogs are renowned for chewing on bones. Bones can shatter into very sharp pieces, potentially creating bleeding cuts around the mouth or puncturing the stomach or intestines. Just like a human, a dog can develop ulcers in the stomach. These painful sores on the lining of the stomach don’t heal well, as they are constantly being hit by the stomach’s acids. Stomach ulcers can cause blood in a dog’s vomit. If your pup’s vomit looks like coffee grounds, this is often a clear sign of an ulcer or intestinal bleeding. Your vet can supply medications to help relieve this condition before it gets any worse. Retching or throwing up food can make small blood vessels in the stomach break. 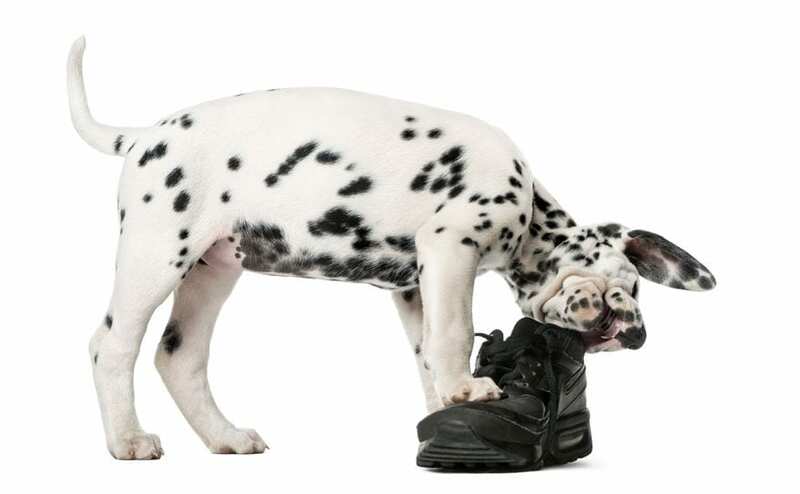 When this happens, you might see a small amount of blood in your pet’s vomit that appears as bright red streaks or spots. If you only see a fleck or two of blood, there shouldn’t be any reason to worry.8 However, you might still want to take him or her to the veterinarian in order to stay on the safe side. This is a condition that occurs due to the inability of a dog’s body to properly clot blood. It could develop for a number of reasons. Hookworms can be very dangerous, so visit your vet immediately if you suspect them. It may not be a pleasant thought, but paying close attention to the type of vomit that’s coming from your dog could save their life. 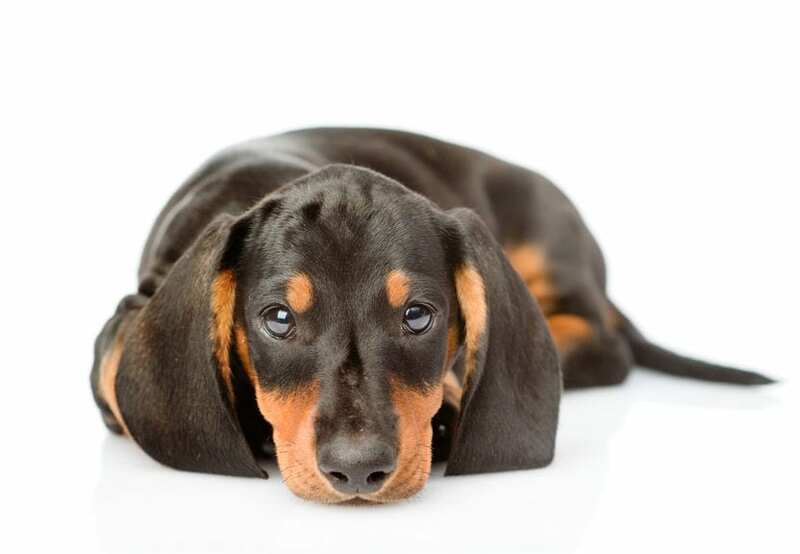 That can give your vet a clue as to what type of issue your pup is experiencing. Your dog may be given fluids in order to address any potential dehydration due to vomiting. 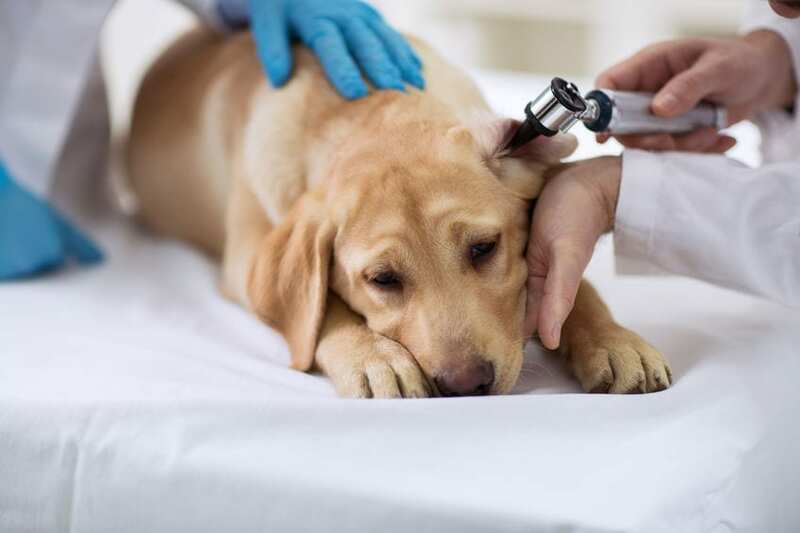 Your veterinarian may even recommend that your pup stays at the medical facility for a few days to be thoroughly examined. But if your dog is vomiting blood, the best thing to do is to immediately take them to your vet for an examination. Now, there are several ways that a veterinarian will treat a dog who is vomiting blood. The specific method of treatment will depend on the cause of hematemesis. If your dog starts to vomit blood, you have every right to be upset and worried… after all, you’re afraid for your baby. However, the key is staying calm and getting your pet to the vet ASAP. If your vet’s office is closed, go to the nearest emergency animal clinic. And also remember: As troubling as this situation may be, it doesn’t necessarily mean the worst will happen to your beloved companion. If you get the medical attention your dog needs as fast as possible, there is a very good chance the problem can be fixed and your pup will return to good health. Why is My Dog Vomiting Dark Brown?